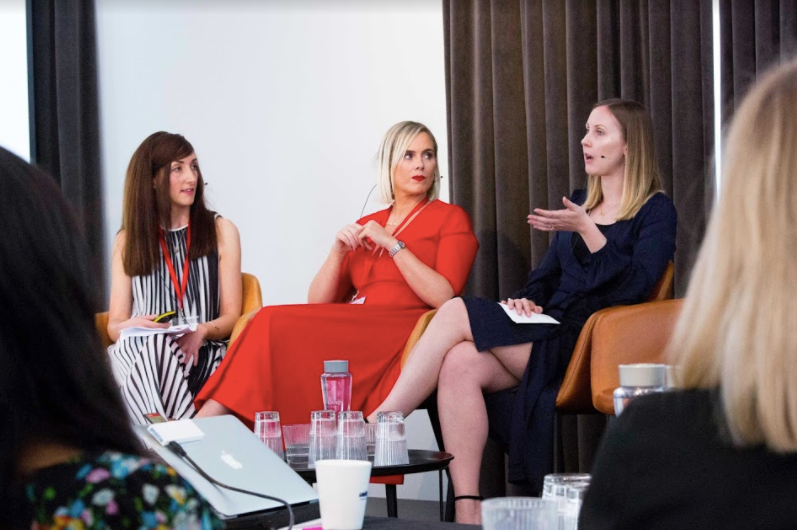 Our very own Bex Ringer – Director of b.’s sister influencer marketing agency Summer – was involved in a panel session at PR360 to discuss how PR and Communication experts should approach talent-led marketing. The panel discussed how influencer marketing strategy focuses on people with a specific following rather than the target market as a whole. Successful influencer strategies identify individuals that have influence over potential buyers and utilise this to promote a brand by focusing on social context. In recent years there has been a shift in talent led marketing as influencers are becoming celebrities in their own right due to their increasing fame and online authority. On the flip side, traditional celebrities are embracing a more authentic and imperfect version of themselves. Brands are now coming to terms with the fact that it is more effective to collaborate with growing influencers, as they know how to utilise the power of social media and use their credibility to affect their followers’ views and potential purchasing decisions. If you weren’t around for Bex’s panel talk at PR360, here are the key takeaways from the event. Ensuring that the influencer and brand share the same values and interests is essential when collaborating. This will create a level of authenticity when building new relationships. Before you begin working with your influencer expectations should be set out through agreed KPIs and outcomes presented in a watertight brief. This will ensure a high level of professionalism. Bex says: “There needs to be a level of control from the brand side to ensure the message is right. It depends on the brand and the brief, but it needs to be clear what their boundaries are.” By upholding this level of professionalism, it makes building long-term relationships with influencers across multiple channels easier. It also creates a wider conversation with the influencer and their audience. Brands are beginning to use a blended campaign approach to their influencer strategy by layering established celebrities with new and niche talent. This enables brands to reach a wider and more varied audience as celebrities have a high reach, but emerging influencers engage in solid relationships with followers therefore offering a higher level of authenticity. People value influencers for their authenticity. Personal endorsement matters to the audience, which in turn helps brands  increase their relatability with a wider marketing strategy. It’s authenticity that allows brands to build trust with their new audience due to the help of the perfect influencer. Bex Ringer is Director of B’s sister agency Summer and was invited to share her expertise on influencer marketing strategy at PR360 Conference this April . Summer work with brands and influencers to connect with the right audience. To read more industry news and brand PR advice visit our blog area.